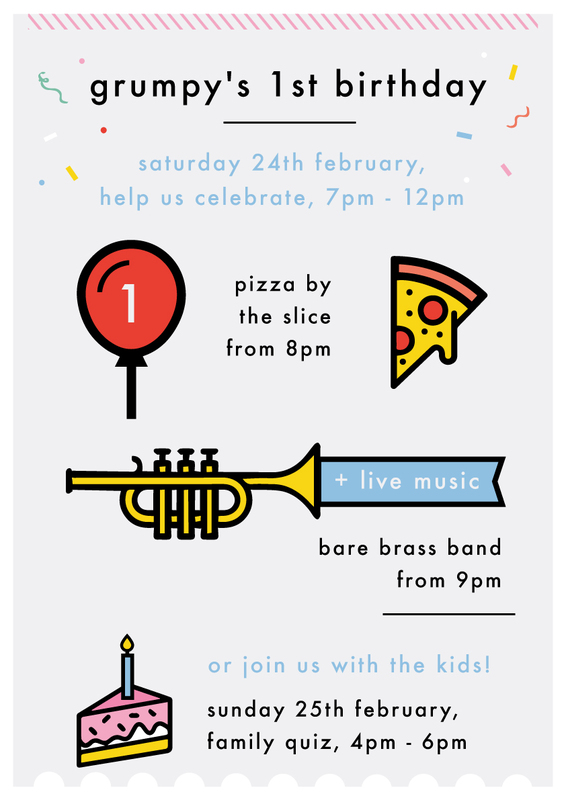 Come and help us celebrate Grumpy's 1st Birthday at our party on Saturday 24th February! Limited space available, let us know if you'd like to come and how many people you'd like to bring along by clicking through to our bookings page. - where we'll be treating the kids to complimentary pizza! We have limited space so be sure to book to avoid disappointment!